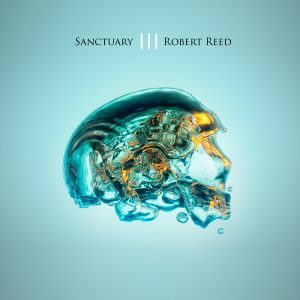 Since Robert took some time out of the ‘day job’ to release his first homage to Mike Oldfield back in 2014, his own little sub-genre has grown, with two full length sequels (‘Sanctuary II’ in 2016) as well as numerous EPs including variations on David Bedford and his own alternative take on the Doctor Who theme tune. Now Sanctuary III (funnily enough the third in the ‘Sanctuary’ series) is here, available as ever in 5.1 and on vinyl, in a very nice cover indeed. 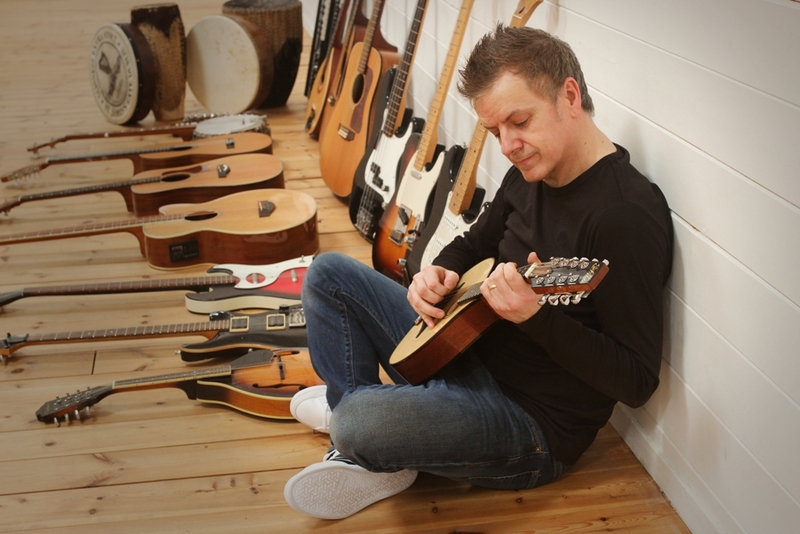 Rob has taken the ‘if it ain’t broke, don’t fix it’ philosophy to this album, with, as per the first two (and indeed Mike Oldfield’s first three) albums, being a full-length song-suite parts 1 & 2, both emulating the Oldfield approach, which worked so well on ‘Sanctuary’. 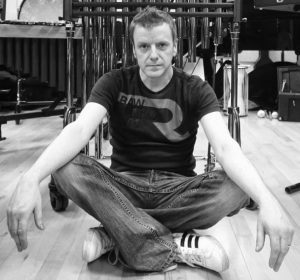 Rob has worked with Oldfield collaborators Simon Phillips, Les Penning, ‘Tubular Bells’ producers Tom Newman and Simon Heyworth and on vocals with Angharad Brinn and Synergy Vocals. Now I am a massive Mike Oldfield fan, and I would argue that its harder to find a greater run of albums than that encompassing ‘Tubular Bells’, ‘Hergest Ridge’, ‘Ommadawn’, ‘Incantations’ and ‘Platinum‘, and, as with previous ‘Sanctuary’ releases Rob wears his Oldfield inspiration on his sleeve. 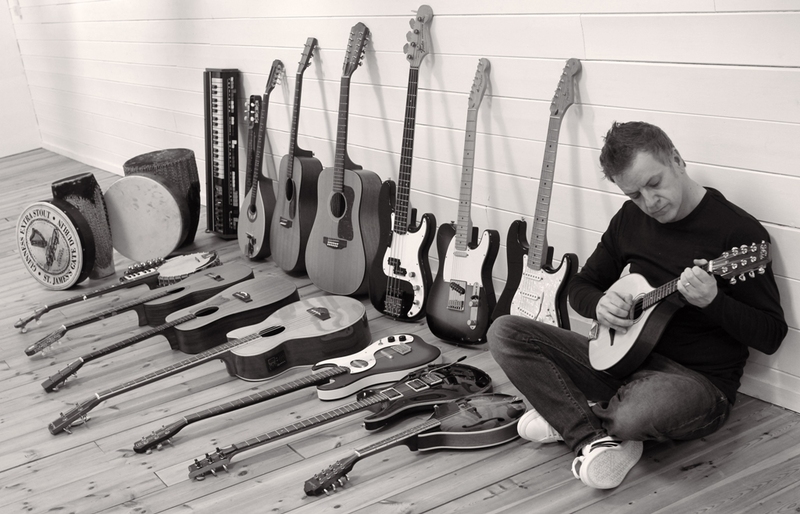 This is as well as showing off his amazing instrumental prowess as a multi-instrumentalist, playing all the instruments bar recorders and pipes, which are contributed by Les Penning and Troy Donockley respectively. The themes throughout are standard Oldfield fare with plenty of soaring guitar and repetitive, charming themes that slowly build and grow and, to Rob’s credit, he has widened the palette somewhat on this album. There is an excellent vocal piece at the start and an interesting diversion into folk themed parts via the twangy guitar of The Shadows at one point. However, there is a touch of an over reliance on the nonsense female vocals that are almost ‘Ommadawn’ but miss out the emotional resonance of that piece and also of the vocoder vocals that sound like they escaped from Five Miles Out. These are familiar Oldfield tropes and ultimately trap the music into being a facsimile. 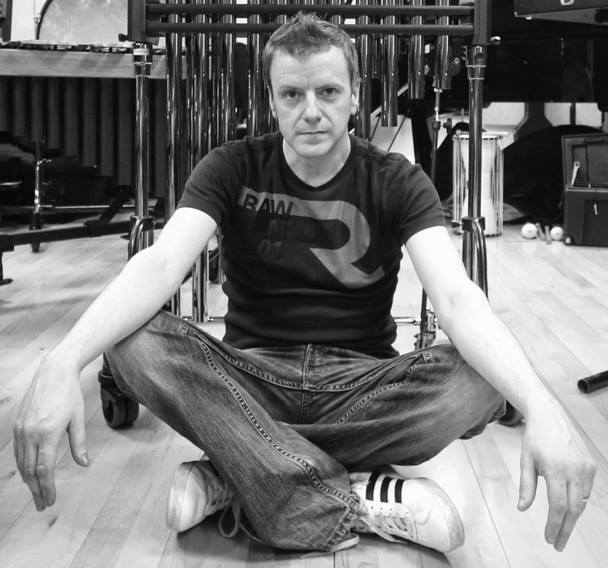 Which is a shame, as if Rob threw out the Oldfieldisms, he could create some truly wonderful original music, instead of pretending it’s 1974 all over again. That’s fine for a nostalgia trip but I would always return to the original rather than an imitation. More interesting is the Moonsinger Suite, ChimpanA Remix which, whilst referring to the main Oldfield touchpoints, at least brings it up to date, being more reminiscent of ‘Songs of Distant Earth’ or ‘Tubular Bells III’ (so only 20 years out this time, getting closer!). The Tom Newman remix on the second disc is also superfluous, being not quite different enough to the original to warrant being included here. Things like that are best suited for anniversary editions or special editions rather than the standard release, as it all gets a bit too samey after a while and you lose where you are at. If you reading this are Mike Oldfield fans and wonder whether ‘Sanctuary III’ is worth a punt then, well, sadly not. Like I said, I really like Rob’s work, his musicianship and craft and skills are never in doubt and I really want to love this album, I absolutely enjoyed the first one as a piece of nostalgic entertainment. 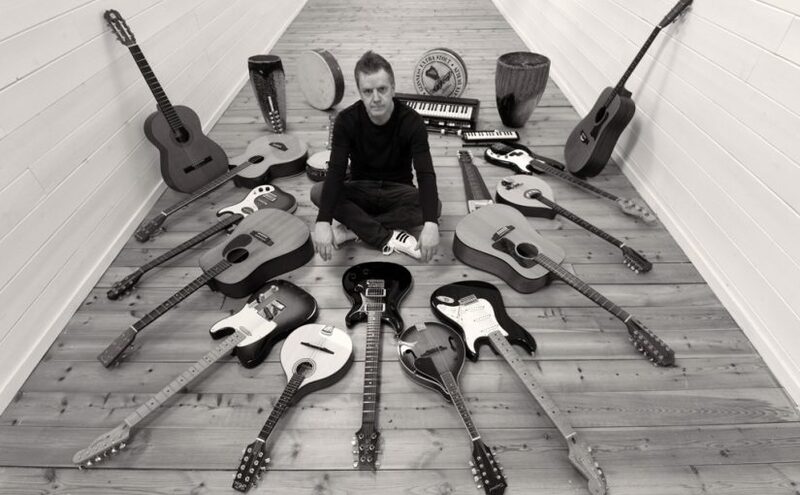 However it seems to me that Rob, whilst putting together an excellent facsimile of an early Mike Oldfield album, has drifted into tribute band territory. The music is good, the performances outstanding but it seemed to me that the Doctor Who theme tune a la Oldfield was an idea too far and ‘Sanctuary III’, whilst being well made, just doesn’t hit the spot. It doesn’t give you the goose bumps that the opening riff to ‘Tubular Bells’ does, it doesn’t send the shiver down the spine that the closing finale to ‘Hergest Ridge Part 1’ does, and it doesn’t conjure up a sense of wonder like ‘Ommadawn’. Somewhere online I have seen people claiming that this is even better than Mike Oldfield or at least, that it’s better than the albums Mike makes these days. 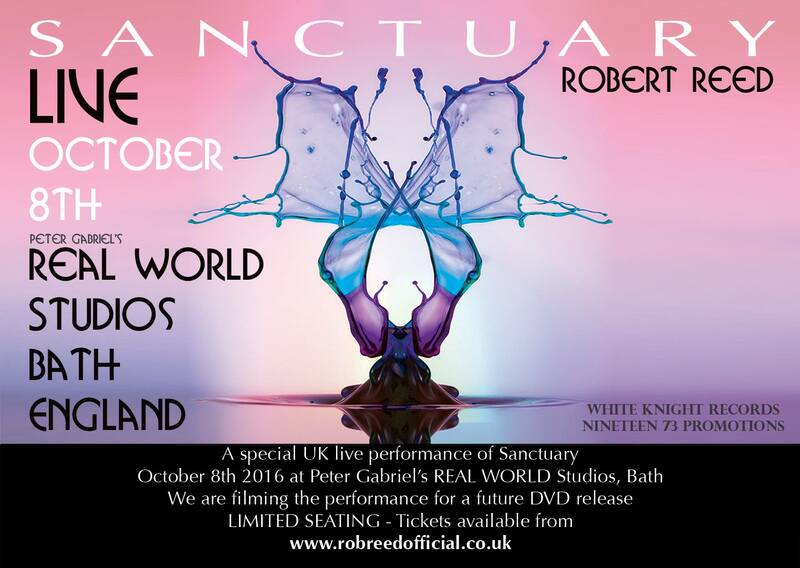 I doubt Rob was thinking of usurping his hero in that way, and ‘Sanctuary III’ doesn’t. It is the musical equivalent of a Big Mac meal, it satisfies at the time because it’s easy and familiar but, in the end, after ten minutes you’re hungry again and want a steak. 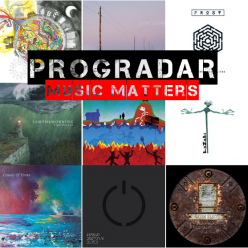 After listening to this all I want to do is grab ‘Hergest Ridge’ or ‘Return to Ommadawn’ in 5.1, bang up the volume and lose myself in the pastoral waves as they wash over me. I would much rather wait and spend my hard earneds on the forthcoming ChimpanA album, as that debut is probably the best thing Rob has done outside of Magenta, being fresh, clever, original and contemporary. 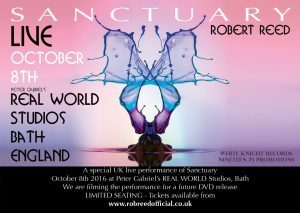 The dictionary defines Sanctuary as ‘a refuge or safety from pursuit, persecution or other danger’ and this is definitely a refuge in the past, ultimately this music sits in a very safe place indeed. 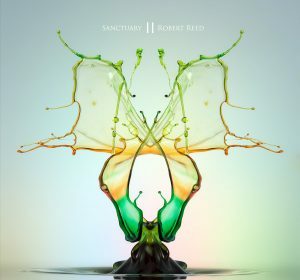 ‘Sanctuary III’ is fine as a nostalgia led piece but when there are so many interesting contemporary instrumental bands out there like Agusa or Zombie Picnic, revisiting music from 40 years ago isn’t pushing the boundaries, it’s more like a cup of tea and a pair of slippers, and a musical cul de sac.